Lucy (Scarlett Johansson) is just another girl with boyfriend troubles. She is in Taiwan when her boyfriend of a week asks her to deliver a briefcase to Mr Jang. Wisely she refuses, but he cuffs the case to her anyway. 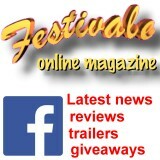 She finds herself a drug mule, and when affected by the drug, more than human. Lucy the film starts out as a crime/thriller drug smuggling movie, but ends with **SPOILER**, okay, it ends somewhere different. 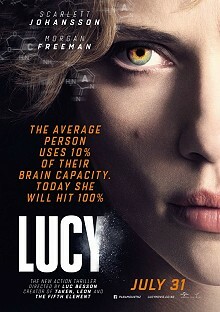 Does this make Lucy a compelling story, or just a trip into the imagination of writer/director Luc Besson? Even Morgan Freeman as the scientist who acts as our guide through the 'science' of the film doesn't rescue Lucy from being light weight.